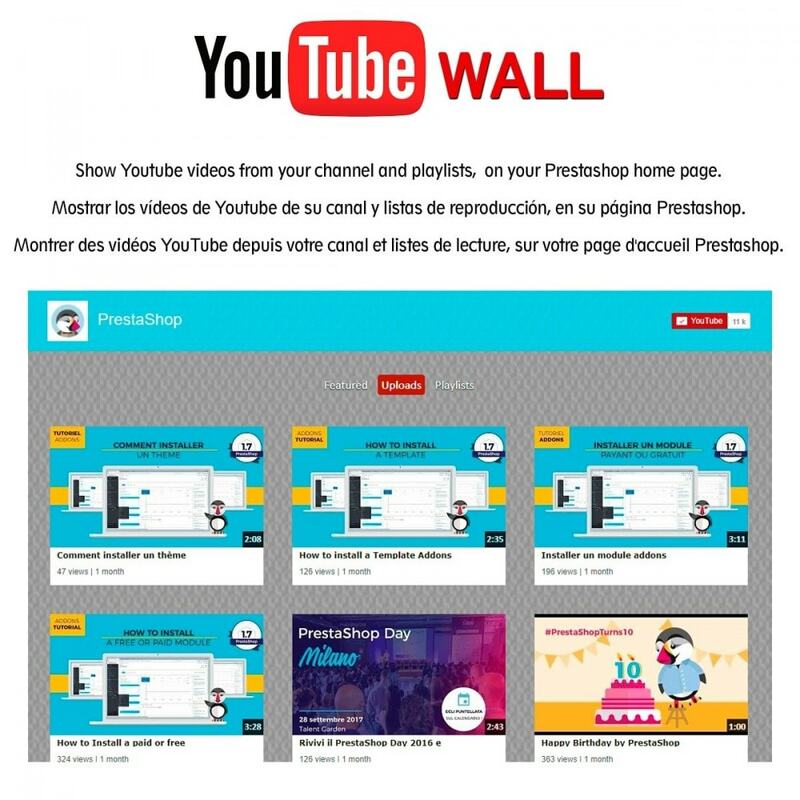 YoutubeWall is the complete solution to show Youtube videos from your channel into your Prestashop site. 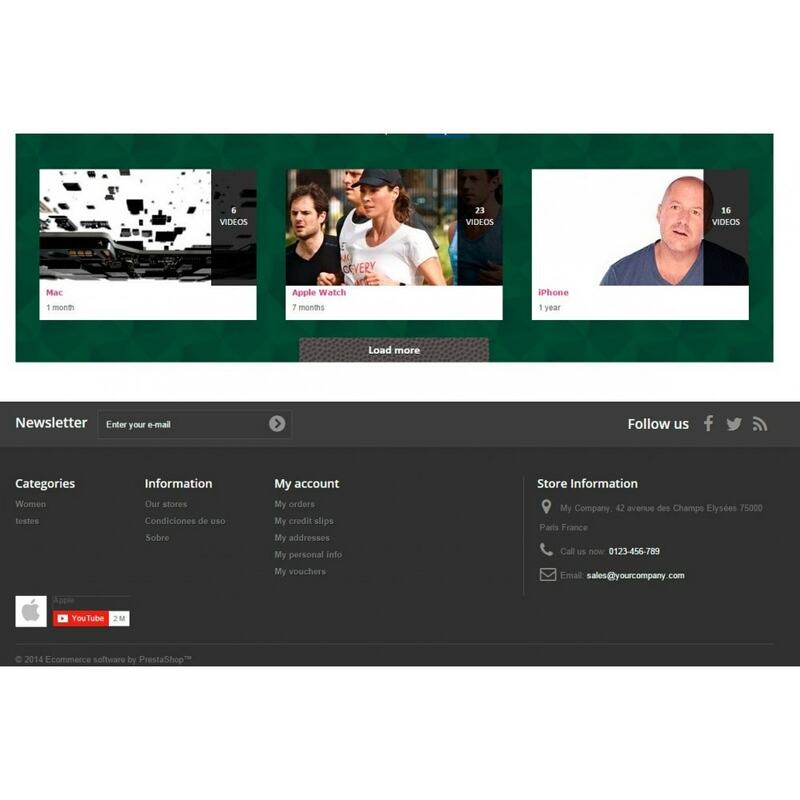 The module let you configure the channel url (or youtube user url), and display featured videos too. 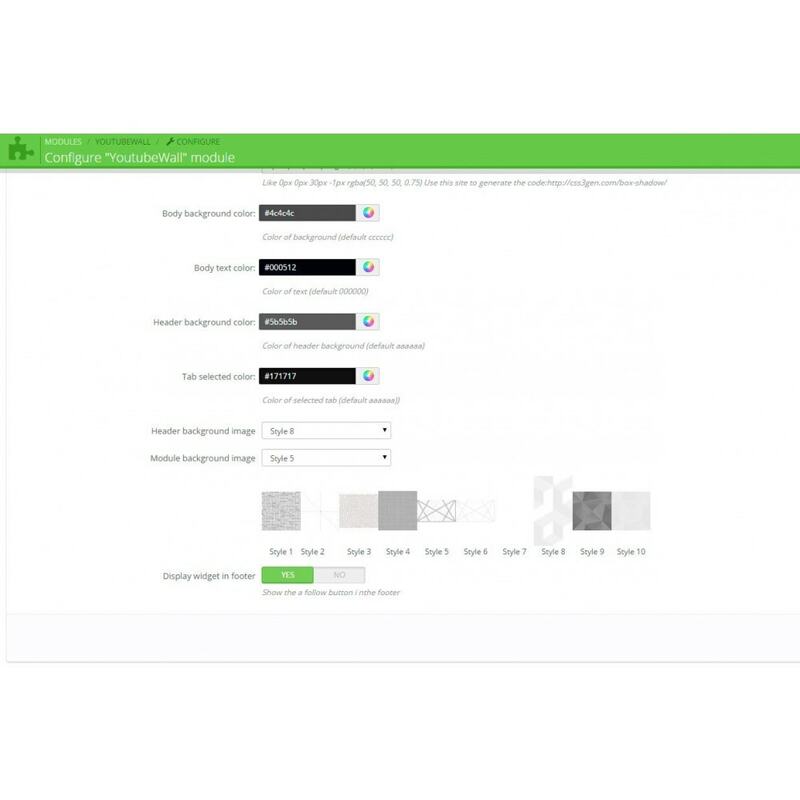 You can configure a lot of options in the module, like the background images and colors, to adapt to your channel look or prestashop look. 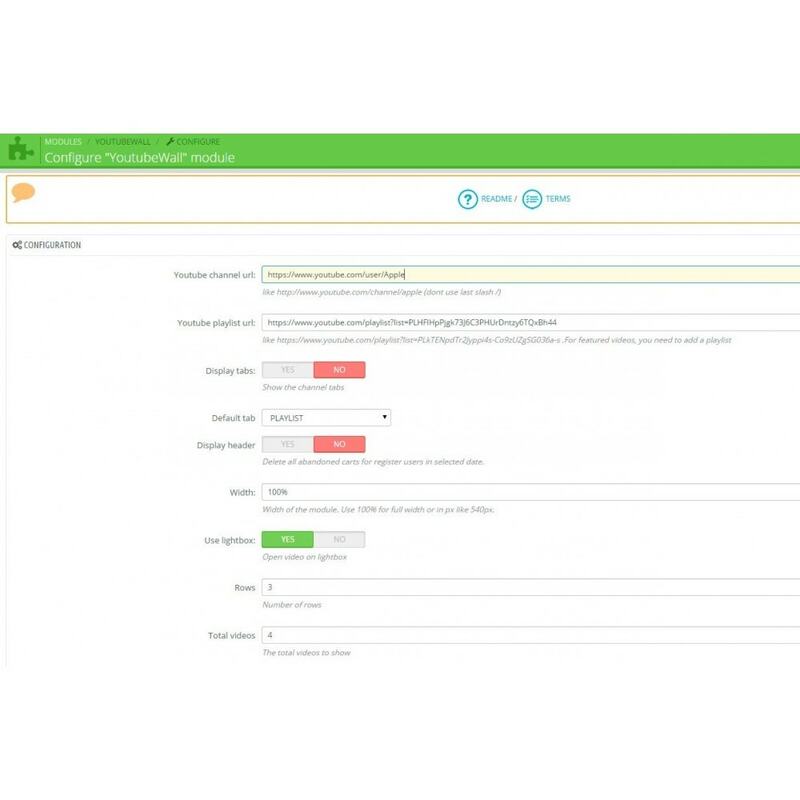 You can set the number of videos to show and the columns, and the module adapts to any screen size because is responsive. In addition, the module shows a small widget in the footer for the youtube channel, and a special page to show the videos if you don't want it on homepage or add in CMS pages. Total amount of videos can be customized. The widget itself is responsive; given a width (or %) for the widget, the inner contents will resize accordingly. 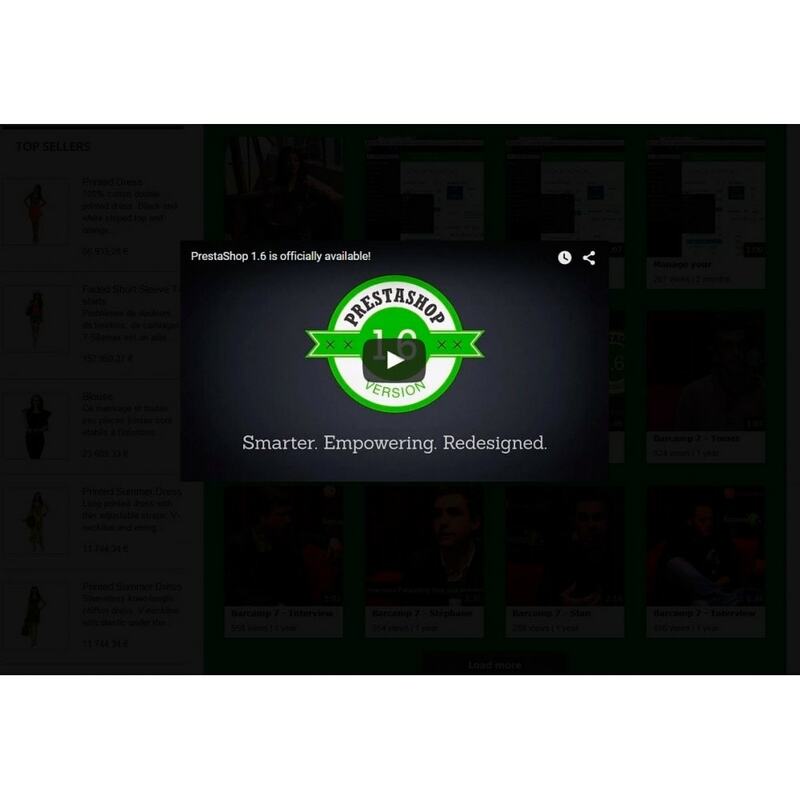 Video player opened in a lightbox. Subscribe on youtube opens in a new window. 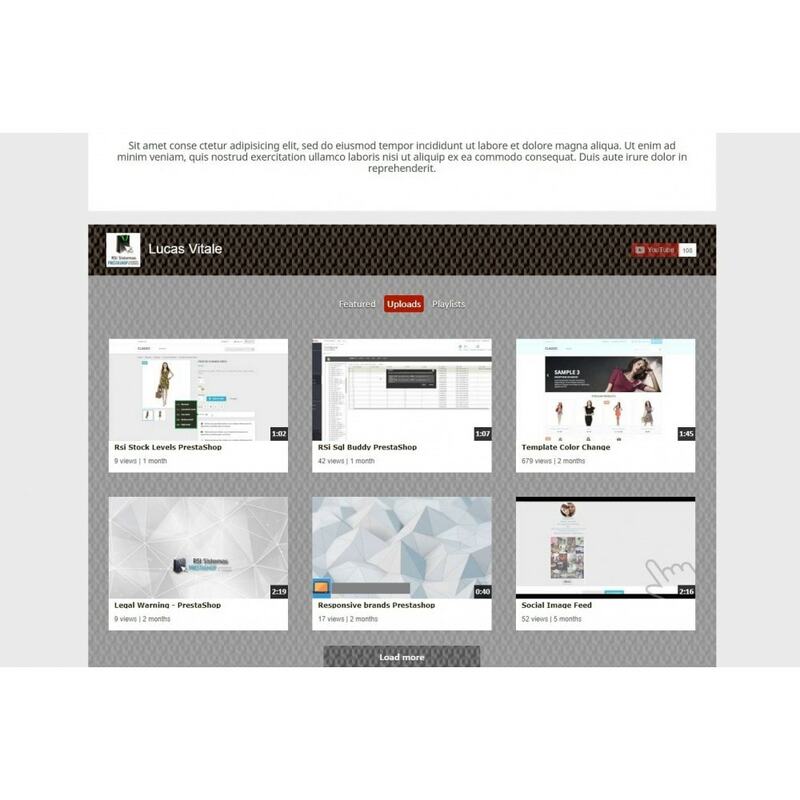 Displays your actual complete youtube channel on your website just like its shown on youtube.